Have you ever bought a diecast car strictly because of the graphics? I have, you’re looking at it! In 2003, Hot Wheels released the casting known as “Phaeton” in the mainline Sega Games Series. All 5 cars in this series featured graphics of former Sega Video Games. 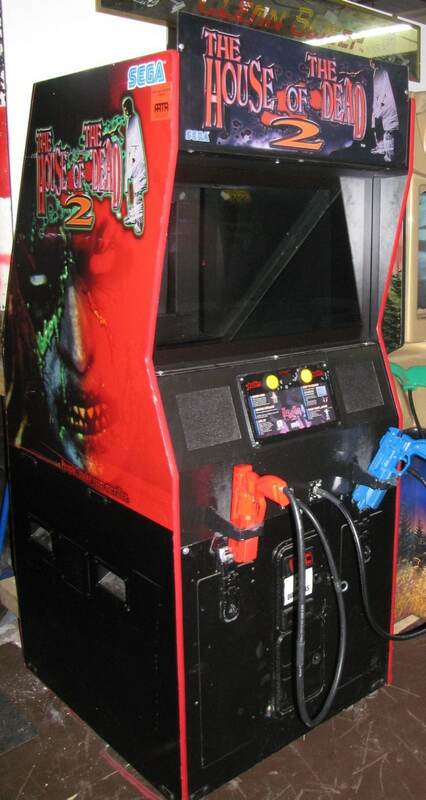 While the other 4 games were not very popular Sega games, I remember playing The House of The Dead II at the arcade in the mall, back in the day. Definitely my first taste of blasting zombies! Zombies back then weren’t so pop culture, and neither were they in 2003 at the time of this release. However, in today’s world, one can only imagine how popular a set of The Walking Dead cars would be. While I’m not a fan of the Hot Wheels Phaeton, it is a heavily customized version of a 1937 Ford Phaeton, and popular in some groups of classic car & hot rod collectors. Introduced in 1999 (as part of the 1999 First Editions), the Phaeton has enjoyed a nice long run in various Hot Wheels lines and has been released as late as 2014. Since I’m not a fan of the casting, I don’t have too many Phaetons in my collection, however, with this particular release, I have three! Maybe it was the “dead-look” in the zombies eyes (on the side of the car) that prompted me to buying multiples or maybe its just my infatuation with classic zombie movies, OR maybe, just maybe this art is just that great! 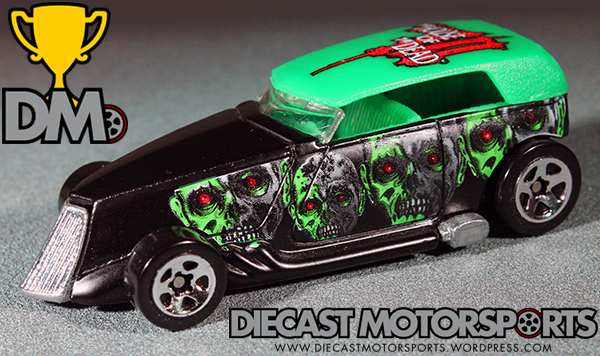 Have you ever bought a diecast vehicle strictly because of the graphics? If so, please share in the comments section below. RELEASE DETAILS: Matte Black Body (metal). Clear Windshield. Green Interior. Green Top (plastic/removable). Chrome 5-Spoke (5SP) Wheels. Unpainted Metal Base. Made in China. Toy# 57248. Released in 2003 as #2 of 5 in the Sega Games Series.